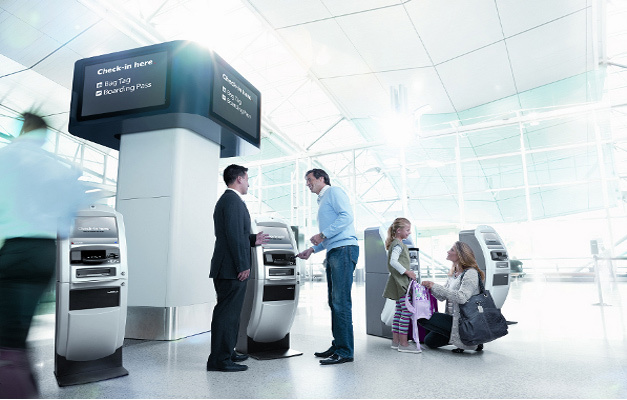 As part of their initiative to improve domestic air travel QANTAS revolutionized the check-in experience with their Next Generation Check-in. A predominantly self-service airport check-in, it aims to streamline domestic air travel through-out Australia. Once again the design firm behind this elegant concept was Blue Sky Design, who employed our services for the fabrication of the initial prototype. The full-scale prototype produced by Box and Dice was used to test ergonomics and ease of use before it could be approved for manufacture and released into the public arena. A project of this scope employed all the creative hands at Box and Dice and the brief included a variety of 3D CAD rendered images of the various units and a strict time-line. With this we set to work on how to produce a mockup that was both light enough to maneuver yet solid enough to also stand without support when required. We produced a structure of lightweight timber frames that were ultimately covered with styrene and plywood sheets. The more complex and organic features were CNC machined and then hand finished and painted. While simple in concept, there is a lot of hard work behind a project of this size, with many hands required just to move it around. Sound ON is recommended. See more images of its construction here.